V evropskem parlamentu so zavrnili kriterije za identifikacijo hormonskih motilcev, ki jih je pripravila evropska komisija s svojimi strokovnjaki, ker niso upoštevali novejših znanstvenih dognanj o hormonskih motilcih in so dovoljevali izjeme za nevarne kemikalije (npr. pesticide). EU legislation requires that pesticides or biocide substances have no endocrine-disrupting effects on other species than the ones targeted. To apply this legislation, the EU needs a list of scientific criteria for identifying endocrine disruptors. The Commission proposal related to the scientific criteria for identifying endocrine-disrupting properties of chemical substances. The identification of these scientific criteria is a first step towards measures reducing their presence and protecting citizens’ health. The European Court of Justice ruled in December 2015 that the EU Commission had breached EU law by failing to publish criteria for determining endocrine disrupters due at the end of 2013. MEPs have repeatedly urged the EU to clamp down on the substances. 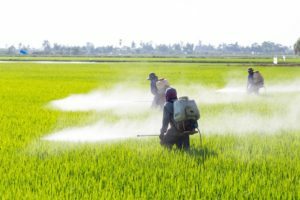 A UNEP/WHO report called endocrine disruptors a “global threat”, referring inter alia to the upward trends in many endocrine-related disorders in humans and wildlife populations. There is evidence of adverse reproductive effects (infertility, cancers, malformations) which could also affect thyroid function, brain function, obesity, metabolism, insulin and glucose homeostasis, it says.